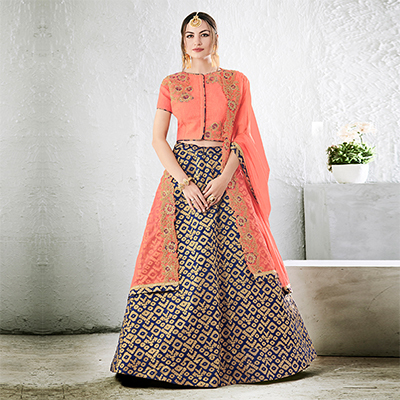 Feel special donning this beautiful peach and navy colored embroidered lehenga choli on your most important function. 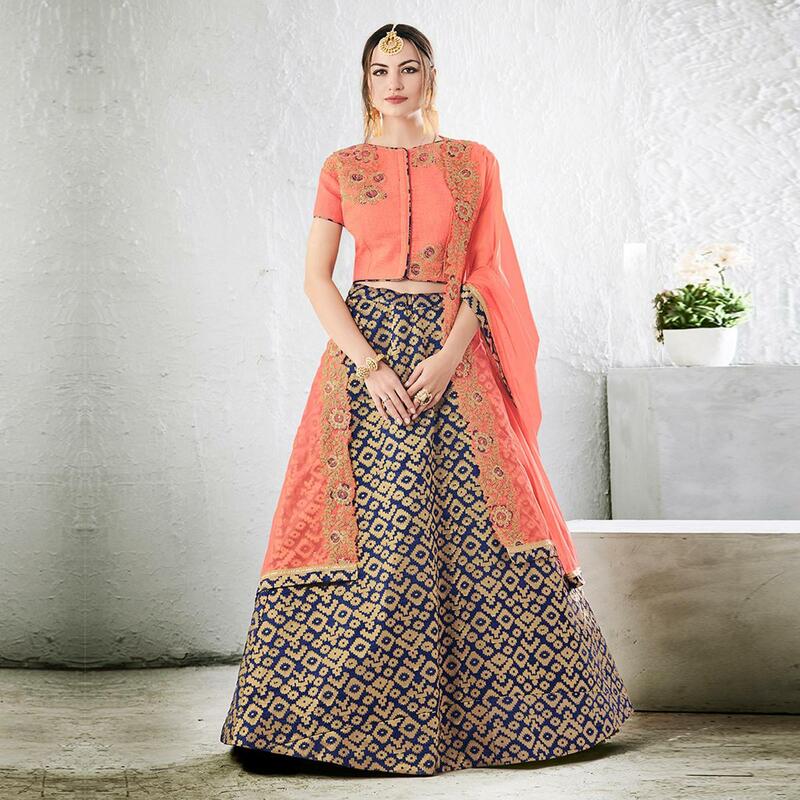 This rich ethnic piece has got contrast color lehenga and choli which has been designed using jacquard silk fabric and graced with embroidery zari stone and lace work which would surely provide the wearer a rich and adorable look. 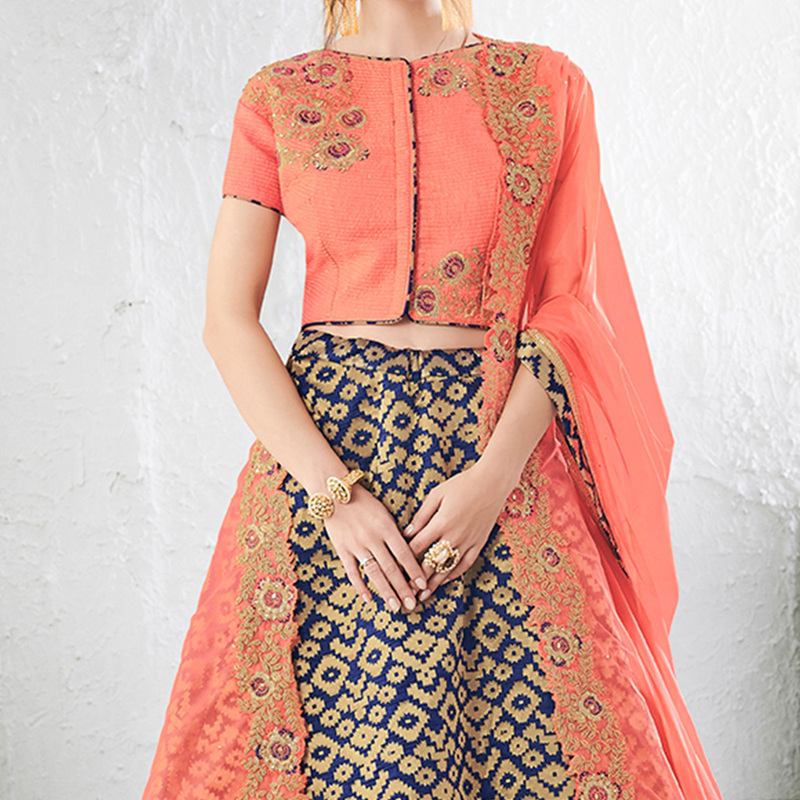 Accompanied with peach netted dupatta enriched with lace border. Best suited for special occasions like wedding functions and engagement ceremonies. Team it with necklace set and ethnic accessories to make your look best from the rest.